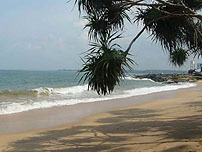 Sri Lanka beach holidays are provided by us at affordable prices to suit your budget. Ceylontusker Tours take much care to take you to best beaches in Sri Lanka. First of all you must take note that they are not crowded like the popular European beaches. Our beaches are with golden sand or silver sand along with sun shine throughout the year, except for those rainy days. All-inclusive beach holiday packages too are available from us. You and your family members or friends can have fun under the sun in any of the beaches around the East, West and the south coasts of Sri Lanka. Want to swim in the deep blue sea or like to walk in the shallow water? Tell about your preference and we will arrange everything for you. 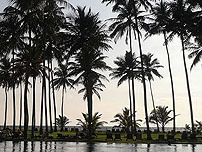 Popular beaches are Mirissa, Hikkaduwa Beach, Unawatuna, Weligama, Unawatuna, Nilaveli, Uppuveli, Passekudah, Arugam Bay, Negombo Beach, Kalpitiya, Tangalle, Bentota and many more. 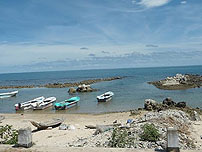 We can take you to beaches in the Northern Province where you will find clean unspoiled beaches. These beaches are extra ordinary when compared with the other beaches in this Island Nation. You can book one of the beach holiday packages with us for your entire vacation period to enjoy all these facilities. Travel in the comfort of an A/C car between destinations with private driver who will act as your guide too. Select rooms in any of the star class hotels, luxury resorts, boutique hotels, beach villas, beach cabanas or bungalows to suite your financial position. Many modern homes with all the latest amenities too are available for rental where some of them have access to beach front. We will welcome you at the Colombo airport and will drop you at a convenient hotel for rest in Negombo before we start the tour. Once your Sri Lanka tour is over, we will drop you back at the Colombo airport to catch your next flight. White water rafting, Surfing, scuba diving, snorkeling, Jet skiing, sailing, whale watching, dolphin watching, banana boat, deep sea fishing and many more activates available in most of these beaches other than sun bathing or relaxing under the shades of the trees. Equipments for water sports can be arranged through us for hire for small fee. Great dining facilities are available at all the beach resorts specially in the Negombo area. Night clubs, discotheques, pool tables and cultural shows are familiar ones here in the night. If you are lucky you can witness beach musical shows that used to takes place in grand style. You can go on shopping to buy beautiful Batik clothes, Gems, spices, handicrafts, art works and many other items. We don't need to mention that nearly all the vacation spots provide Wi-Fi network for free and through data plan. During your all-inclusive tours don't forget to bring your camera, GoPro, and underwater camera to capture videos and pictures during your holidays here. We offer special discounts for Groups, International tour operators, agents and tour companies.